JRI are pleased to announce the publication of Briefing Paper number 34. 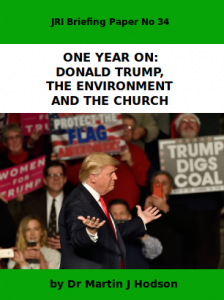 On the first anniversary of the inauguration of Donald Trump as the 45th President of the United States of America, JRI Operations Director Dr Martin Hodson has produced the promised follow-up to ‘Donald Trump, the Environment and the Church’ (Briefing Paper 32) published on 20th January 2017. 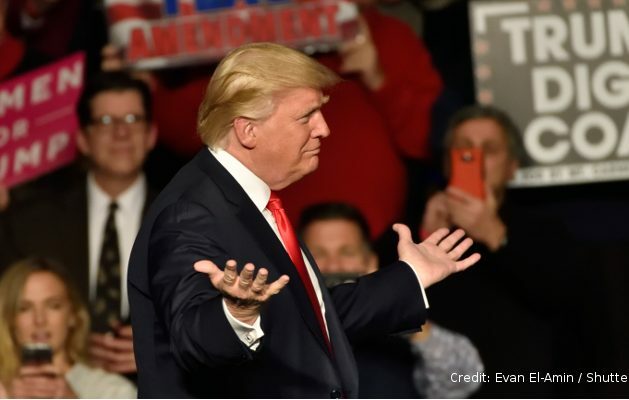 This Briefing Paper, ‘One Year On’ revisits the 12 questions raised then, setting the experience of Trump’s first year in office against the interest, enquiry, expectations and concerns which were to the fore following his election. The briefing paper is available as a pdf file and ebooks in epub and mobi (Kindle) format from these links, and from the Briefings page of this website.